At last night’s game night, Henry showed up with a new board game: Dominion. Now, being the game geek that I am, I had already heard some of the hype around this game. I was, to say the least, skeptical. 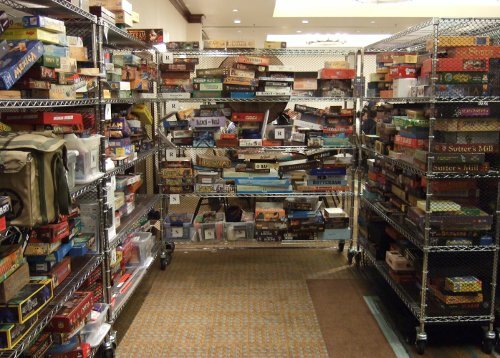 After all, games aren’t supposed to just show up and rocket into the top 10 of the BoardGameGeek Top 100 within a month or two of their release. Let me cut to the chase here: I was wrong. After playing it twice, my verdict is that this game rocks. 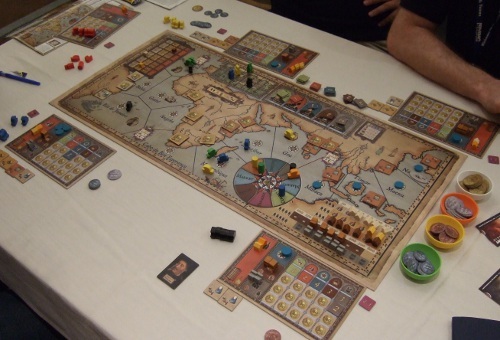 It plays quickly, has an excellent mix of luck and strategy, a smidge of player interaction, and a ridiculously high amount of of replayability. When you open the Dominion box, you will see 500 cards and a rule book. No board, no pawns, no dice – just cards. The 500 cards are divided into over 30 stacks: 3 stacks of Treasure (money) cards, 3 stacks of Victory (point) cards, 25 stacks of Kingdom (action) cards, and a few stacks for use with some alternate rules. Each game, you put all of the Treasure and Victory stacks in the middle of the table, and then select just 10 of the Kingdom card stacks to be used – that’s where the replayability comes in, since you can make every game different by changing out one or more of the Kingdom card stacks. Each player starts with an identical, small deck of cards. The initial cards are used to add better Kingdom and Treasure cards to the deck, which will in turn enable you to buy Victory cards. This is the meat of the game: deciding what cards to add to your deck, and then deciding how best to use them when they are drawn later on. Do you add more Treasure so that you can buy more expensive items, or do you add a Kingdom card that lets you do something advantageous (like draw more cards from your deck), or do you go straight for the Victory cards (which are useless in your deck, but required to win the game)? 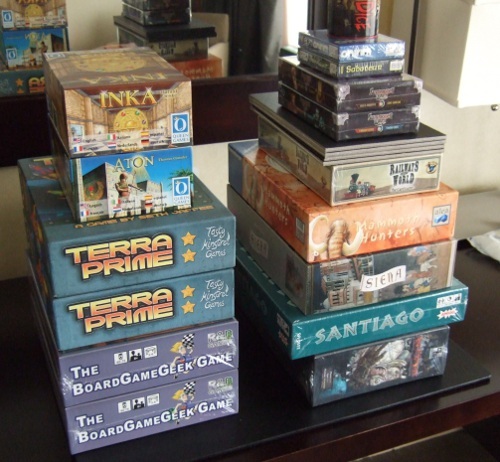 I will be the first to admit that, as is typical in many European games, the theme is rather thin, and I am not sure how the cards will hold up to the significant amount of shuffling the game requires. 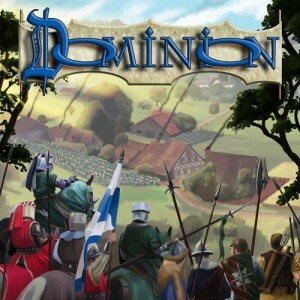 Those two quibbles aside, Dominion is a really great game, and you should definitely try to talk one of your friends into buying it so that you can play it. Thanks, Henry!